Growing up in Vancouver, BC Dexter Quinto showed a burgeoning talent as an illustrator & painter with a portfolio filled with personal art projects and concept explorations. In High School he studied graphic arts & communications which also led to a deep interest in black & white film photography. Cinematography soon followed as his interests in visual storytelling led him to dabble in motion picture. The late 90's brought on a whole new career for Dexter, delving deep into the demand for lush visual content for the web, he spent many years as a designer and creative director in digital media. Having piqued his interests in these artistic mediums, he ultimately returned to his love for photography. He studied at the Creative & Arts Division of Langara College. 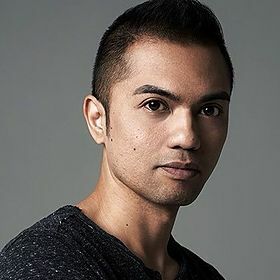 Dexter made the jump from creative director to professional fashion & advertising photographer in 2006 while achieving noteworthy success in his first year. He has since shot for CLIN DâOEIL, ELLE CANADA, WEDLUXE, MENâS FITNESS, MORE MAGAZINE as well as campaigns for TIP TOP TAILORS, GEORGE RICHARDS BIG & TALL, POINT ZERO, FOOTLOCKER, PARK ROYAL MALL, JANE IREDALE COSMETICS, FITNESS WORLD, BC LOTTERY CORPORATION, BC HYDRO, and BODOG SPORTS. He has also photographed Canadian TV celebrities including ET Canada's Rick Campanelli and Etalk Daily's Tanya Kim. In sports he's also captured basketball superstar STEVE NASH and UFC's GEORGE ST. PIERRE, CHUCK LIDDELL and YOSHIHIRO AKIYAMA. Actresses Dexter has shot for include KRISTIN KREUK, GINA HOLDEN and GABRIELLE MILLER. Dexter keeps busy shooting throughout Canada and the US. He recently helped open a commercial photography studio in Toronto where he now resides. He shoots regularly between Vancouver, Toronto, Montreal, and Boston.